Marketing is becoming an increasingly results-based and data-driven profession. And, research shows that applying reporting and analytics to marketing activities enables you to access, understand and act on your data to optimize campaigns, demonstrate effectiveness and generate superior ROI. But, most marketers still struggle with ten significant barriers to becoming truly data savvy. 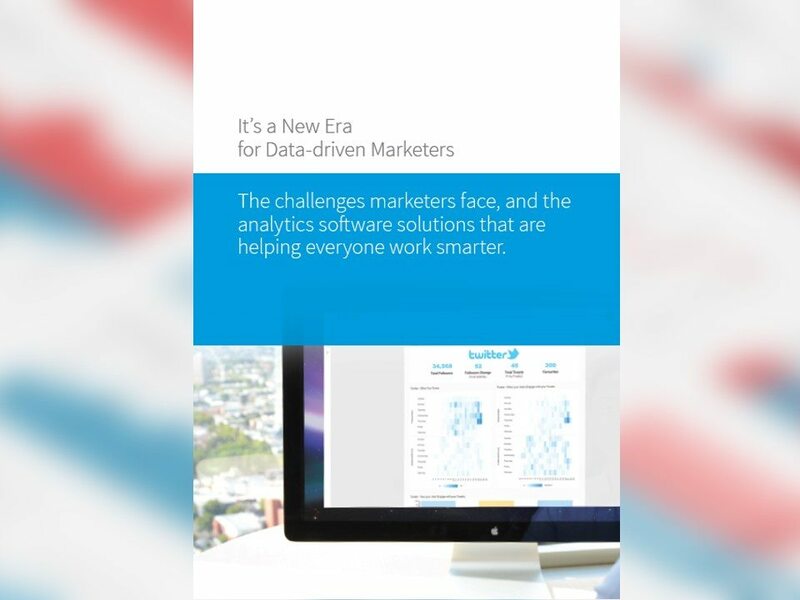 Download this white paper, It’s a New Era for Data-driven Marketers, to discover how harnessing the right marketing analytics technology can help you overcome those prevalent challenges. Understand how to move away from the time-consuming and inadequate manual manipulation of data. Discover the marketing analytics solutions that empower you to automate reporting processes and conduct better data analysis in less time.